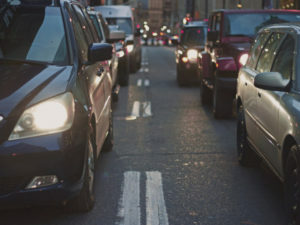 Traffic congestion has overtaken mobile phone usage to become the top concern among drivers, according to IAM RoadSmart’s fourth annual Safety Culture Survey. The research tracks opinions from more than 2,000 drivers about their worries, fears and attitudes, with the list having been topped by safety concerns around other drivers using hand-held mobile phones for the last two years. However, the latest survey found more than three-quarters (76%) of respondents said congestion is a bigger problem than they experienced three years ago. Some 73% of those surveyed still say mobile phone usage is a problem across the same period, down from 80% last year. The third biggest concern was aggressive drivers, with more than a third (68%) of respondents saying this was a bigger problem than in 2015. However when asked what motorists feel is ‘a serious threat’ to their safety while driving, drivers checking or updating their social media or texting outstrips other worries to top the charts, with 93% of those surveyed saying this. Other major concerns were people driving after using illegal drugs (91%), people driving after drinking alcohol (90%), drivers speeding on residential streets (89%), drivers talking on mobile phones (89%) and drivers ignoring red lights (88%). Drivers’ safety concerns were also reflected in their responses when asked what traffic police should make a top priority to reduce bad driving in their area. Drink and drug driving was significantly the biggest choice, with more than a half (59%) placing it first. Next up was driving using hand-held mobile phones (12% saying it should be top police priority), speeding on local roads (10%), aggressive/intimidating driving (9%) followed by uninsured/taxed/unlicensed drivers (8%). The research also showed some drivers still have lax aptitudes when it comes to speeding. Almost half (48%) thought driving 10mph over the limit on a motorway was acceptable and around a quarter (23%) were willing to drive at five miles an hour over the limit in a residential street. Some would also drive without a seatbelt (11%) and drive at five miles an hour over the limit near a school (9%). Meanwhile some 45% still think it is alright to talk on a hands-free mobile phone while 5% admitted they do this regularly. And 4% said they had regularly driven while drowsy or tired in the previous 30 days. In response, Quinton said the figures show a clear need for a clampdown on those drivers taking risks.